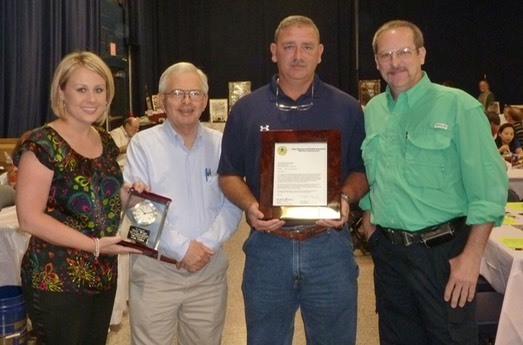 Pictured left to right are Jennifer Hoy, NRA Office of Advancement; Herb Lanford, NRA Board of Directors; Sheriff Chuck Wright, Sheriff of Spartanburg County; and Neil Beers, Vice-President, Gun Owners of South Carolina. 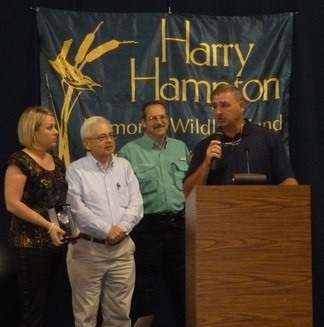 This award was presented to Sheriff Chuck Wright at the Harry Hampton Banquet in Spartanburg last night (Friday 5/11/12), by Vice President Neil Beers. There were approximately 700 people in attendance and Sheriff Wright received a lengthy standing ovation. Sheriff Wright received this award for his outspoken position on the Second Amendment and Citizens Right to Self Defense.